Ken Blackwell, one of the most influential conservative voices in the country, has endorsed Don Stenberg in Nebraska’s 2012 U.S. Senate Republican primary race. Oct. 3, 2011 - PRLog -- Ken Blackwell, one of the most influential conservative voices in the country, has endorsed Don Stenberg in Nebraska’s 2012 U.S. Senate Republican primary race. 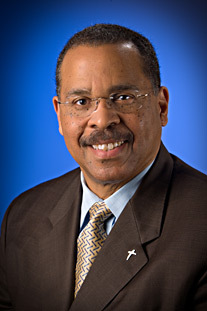 Blackwell served two terms as Ohio Secretary of State and currently serves on the boards of directors of the Club for Growth, National Rifle Association, and the National Taxpayers Union. He is the National Chairman of Pass the Balanced Budget Amendment and serves as the Senior Fellow for Family Empowerment at the Family Research Council. “Don Stenberg has a lifelong track record of true conservatism,” Blackwell said. “As Attorney General he operated one of the most successful offices in America on the third lowest budget in the country – and as State Treasurer he cut his budget by 13% only weeks after taking office. Don is honest, principled and trustworthy – qualities that have earned him a loyal following of Reagan, Tea Party, and independent conservative voters. I’m confident his support for faith, family, and the Constitution will propel him to victory over Ben Nelson in 2012,” Blackwell said. Blackwell’s endorsement adds to the growing number of notable conservatives – U.S. Senator Mike Lee, FreedomWorks, RedState’s Erick Erickson, conservative talk show host Mark Levin, and conservative Washington PAC, The Madison Project - that have already stated their support for Stenberg in the contested Senate primary race to take on Senator Ben Nelson. “I know Don Stenberg will stand up to Democrats and establishment Republicans to fight for limited government principles,” Blackwell said. “I deeply appreciate Ken Blackwell’s kind words of support and endorsement. As a national conservative leader and with his influential associations with proven conservative organizations–Club for Growth, Family Research Council, and the National Rifle Association - his endorsement will continue our campaign’s momentum to win the GOP nomination and defeat Ben Nelson,” Stenberg said. Mr. Stenberg served as Nebraska Attorney General from 1990-2002 and was elected Nebraska State Treasurer in 2010. GOP U.S. Senate nominee in 2000 against Ben Nelson. Genuine, lifelong conservative. Supports 2nd Amendment, pro-life, balanced budget. Who is the Consistent Leader Needed to Change Washington? Bob Kerrey or Don Stenberg?